It was an emotional moment for many Han’s ardent fans when the announcement of the closure of the food chain’s biggest and most popular outlet at Great Eastern Centre came last December. Having served only pocket-friendly gourmet food to hungry office works for a decade, the closure meant that there would be one less affordable eating place amidst the throng of lavish restaurants in the business district. For months after it shut down, the large ground-floor unit spanning over 13,000 square feet was left vacant for a couple of months before the next lessee took over. With such a vast amount of space, many wondered if the shop would be partitioned into smaller units to accommodate more tenants. Well, it is true enough that the unit has now been cut up into several divisions, but what most people probably didn’t expect was that these different sections are actually operated by the same company in a borderless setting. 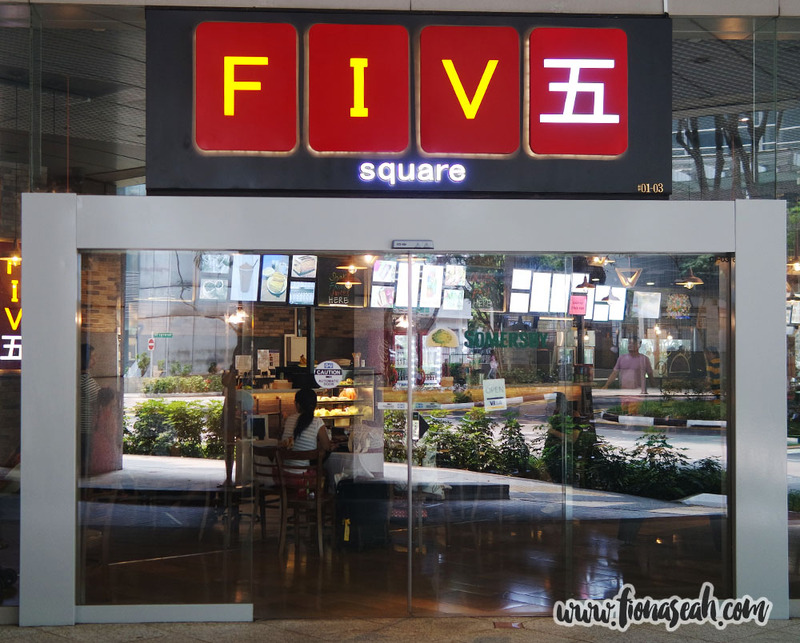 Currently occupied by FIVE Square (stylised FIV五 Square), the latest flagship outlet of the FIVE Bar Group cleverly split the unit into 4 different concepts, each signifying a corner that makes up the newly-opened restaurant which has been operating since June 2015. 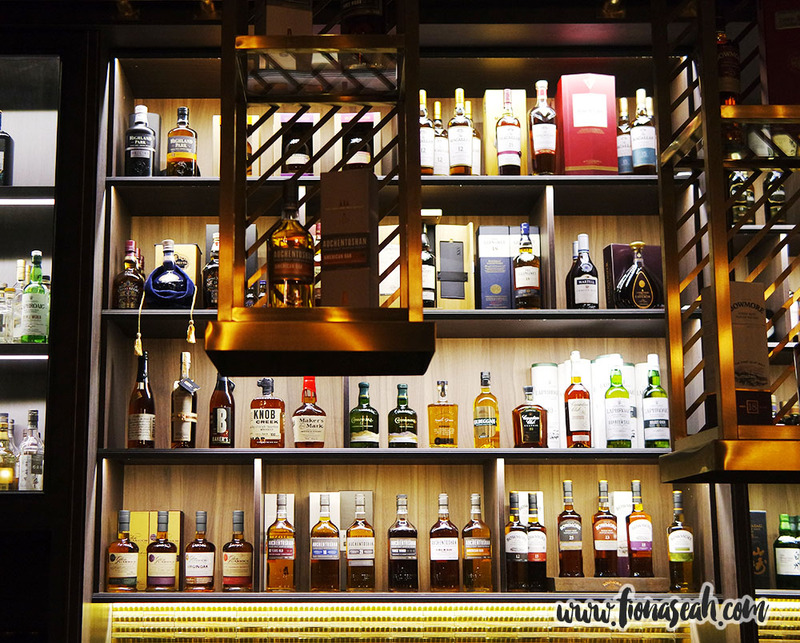 From an impressive range of food choices at The Bazaar to alcoholic beverages like beer, wine and whiskey, there is clearly something for everyone. 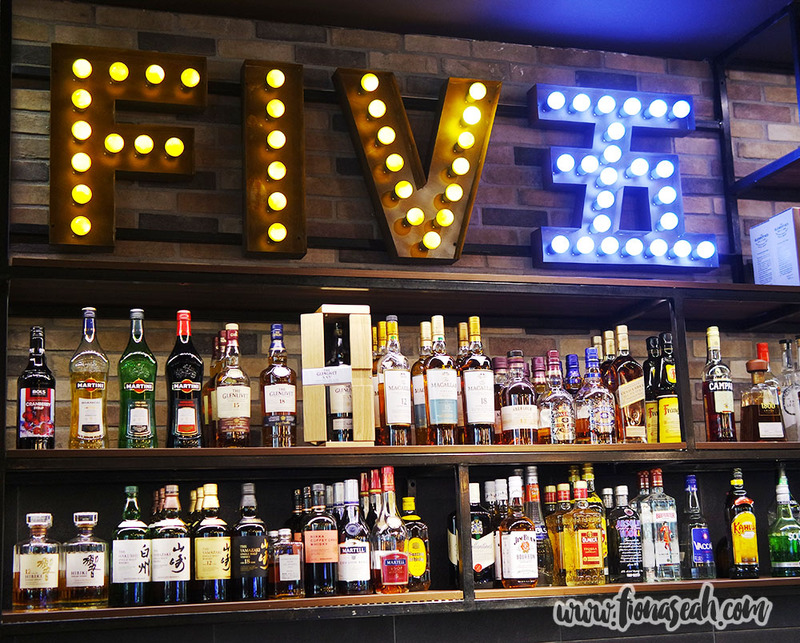 Synonymous with the renowned all-day-everyday $5 food and drink specials offered at other FIVE outlets, the Bar delivers the FIVE tradition of offering all-day happy hour that doesn’t break the bank. 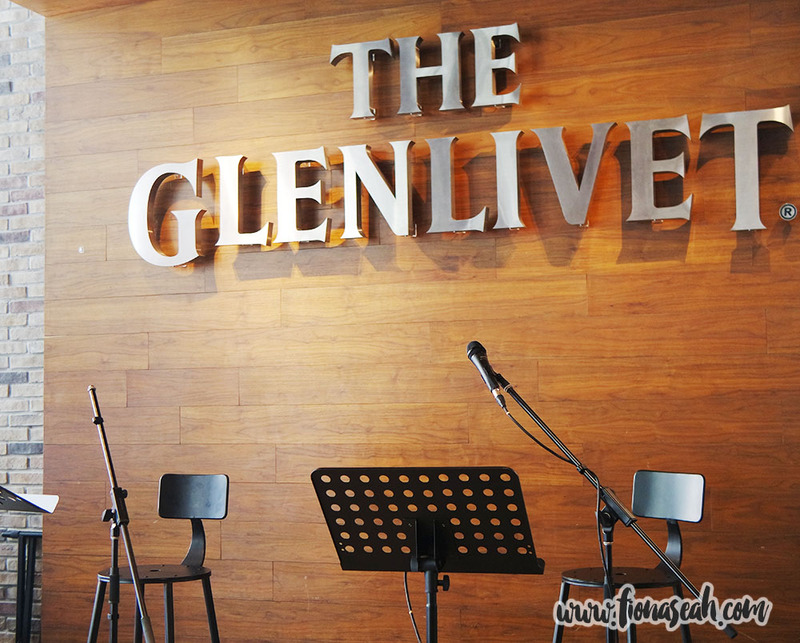 Enjoy sports screenings on large televisions and ‘live’ local bands performances at this 300-seater lounge every night while you hang out with your pals over beer, wine or sake at just $5 per glass. Successfully did my first beer tapping! Not too bad for a first-timer. 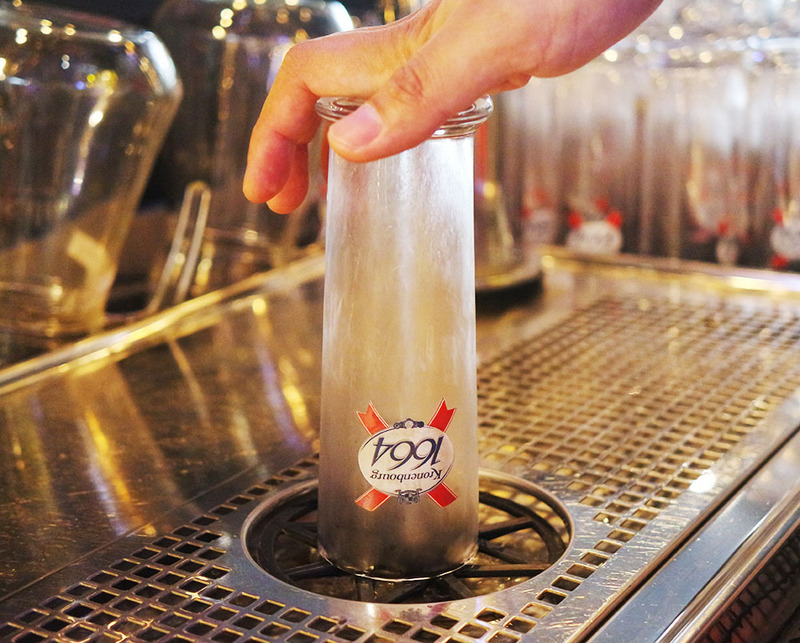 And mind you, it’s not just any beer either – it’s icy cold beer! 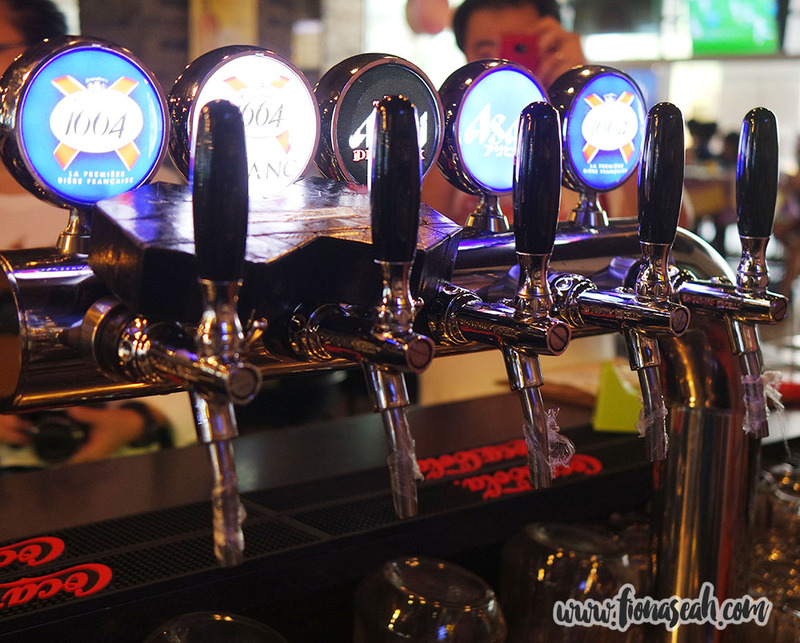 Unlike many pubs which derive their beer from keg coolers at about 4-5 degree Celcius, all beer at the Bar is directly dispensed from the cold room at 0 degree Celsius. 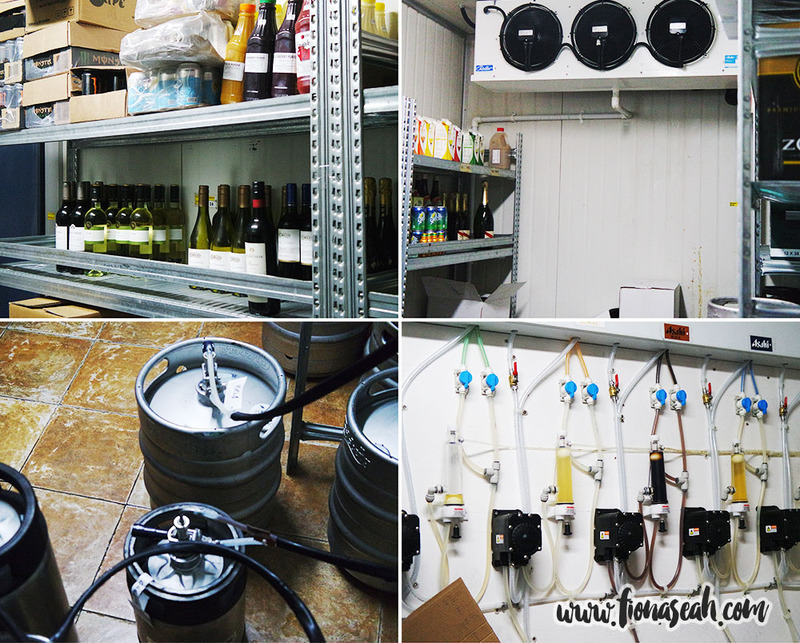 It is especially uncommon to find cold rooms at local establishments these days due to the lack of space. Located in a tranquil little corner overlooking the busy cross junction into the CBD, visitors can sit back and watch the world go by while sipping on some wine at any time of day. With over a hundred labels of quality wines listed at the Wine Cellar, there are plenty of wine to choose from for a tête-à-tête between friends or for takeaway as gifts or for parties. Hidden away from the public gaze is the Recess which name is a play on words literally meaning going into a hole in the wall, to take a break from (work) proceedings. 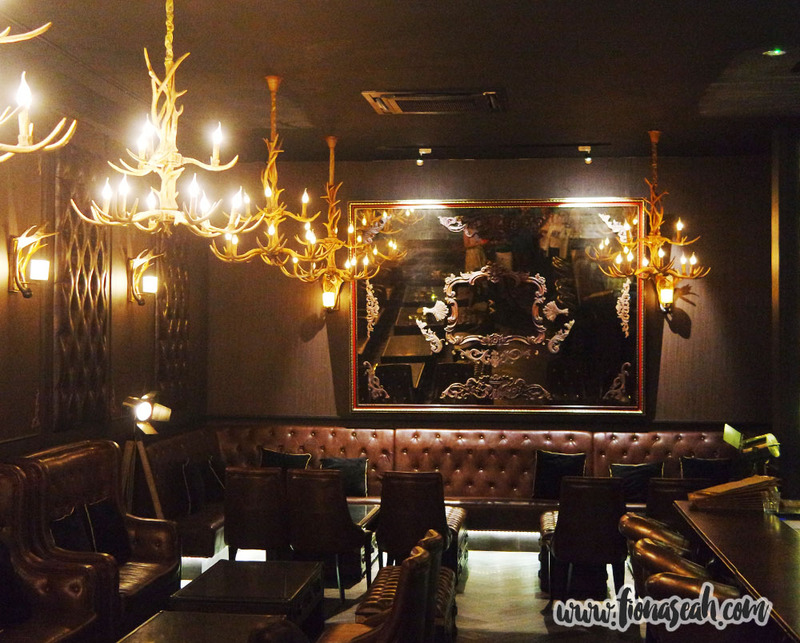 The secretive location of this 50-seater space makes it an ideal venue for company functions. 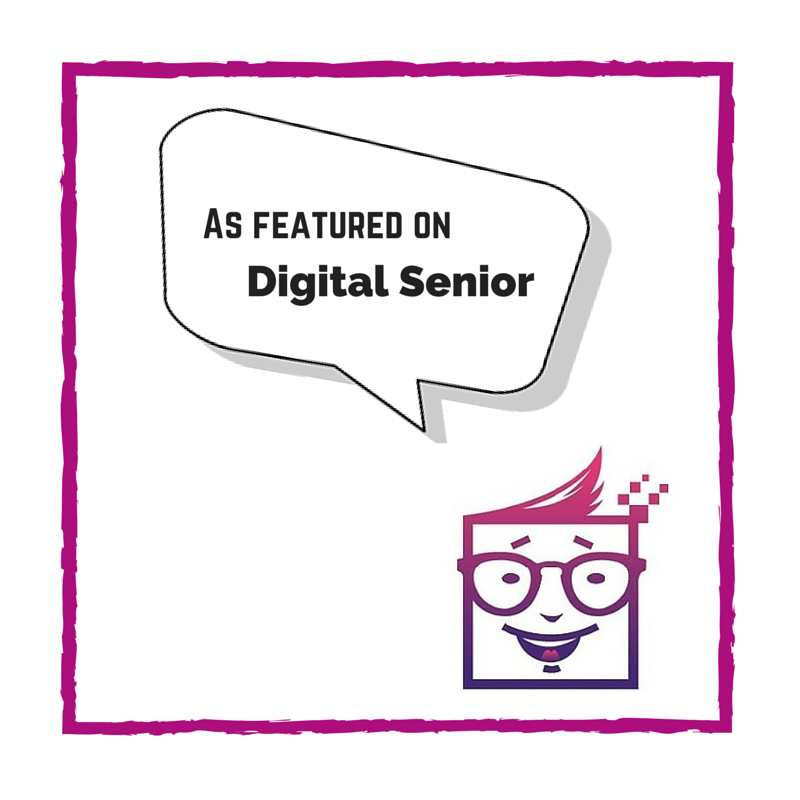 It enables networking in this sophisticated and posh environment that is free of disruption from external noise and foot traffic while sipping on premium and rare whiskies without the exorbitant price tags. 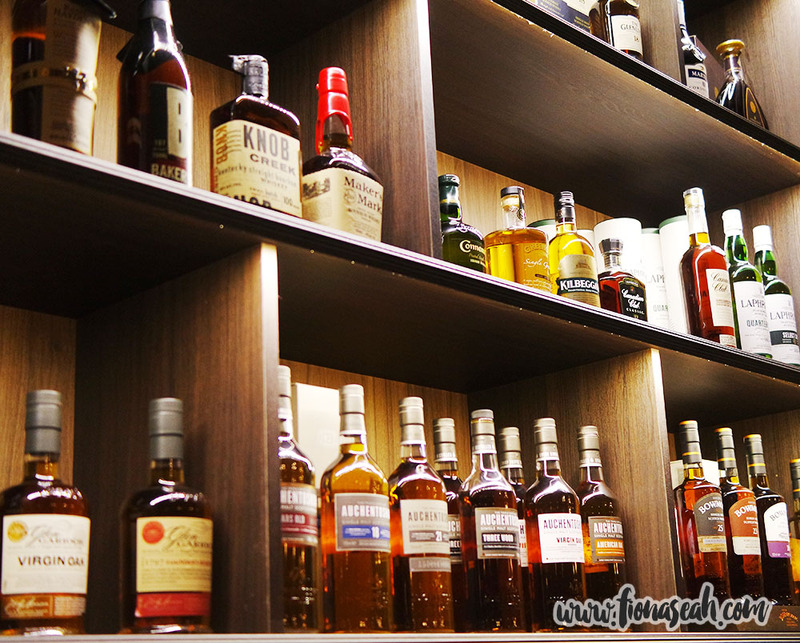 You would also be surprised to find popular whiskies that are already sold out across the rest of the globe! 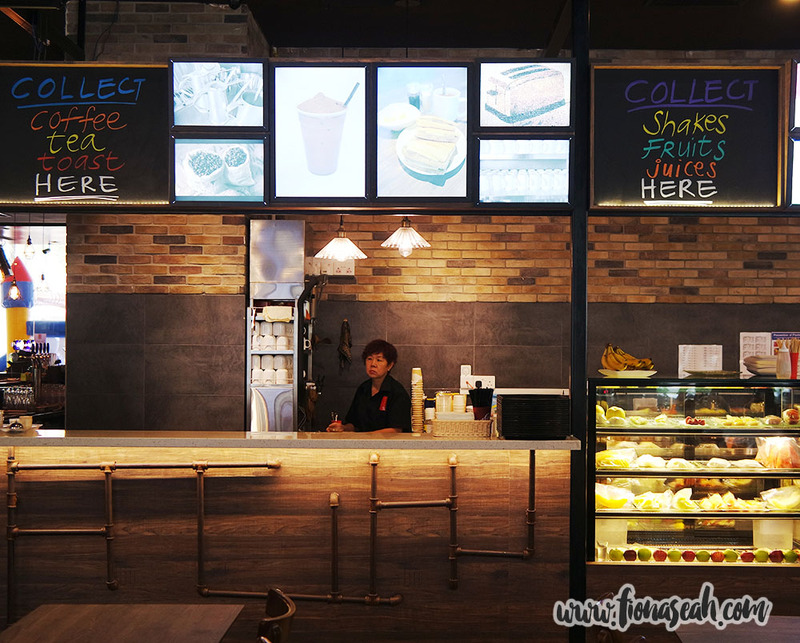 Majority of the space at FIVE Square is dedicated to this self-service gourmet food hall that seats up to 300 people. 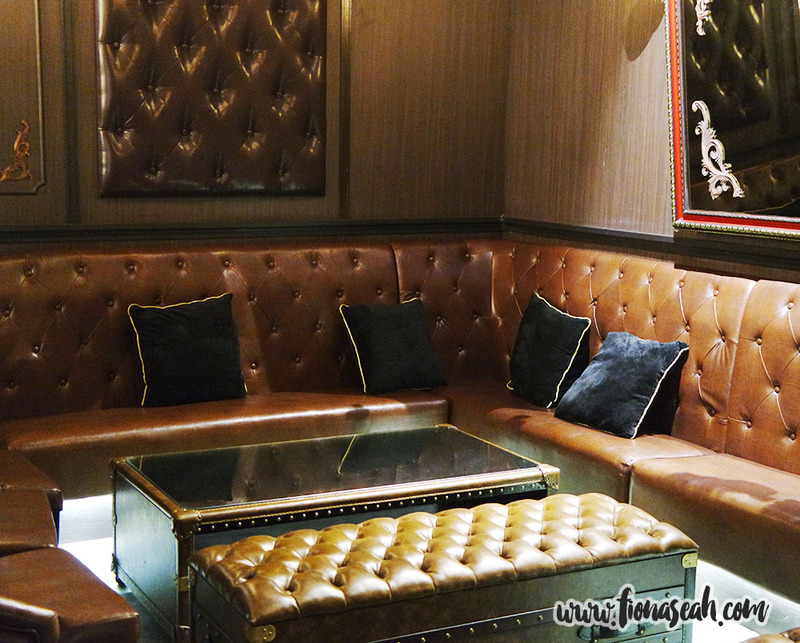 Similar to its predecessor, the Bazaar offers a variety of reasonably priced food for lunch and dinner to feed busy executives and families around the area as well as the merry-makers drinking at the adjacent bar, wine bar or whisky room – all part of FIVE Square. The food stalls are open from 10am to 10pm every Monday to Saturday. A spin-off from the popular Tachinomi Izakaya-inspired Five Tapas Bar at Cuppage Terrace, the Spanish-equivalent to its name (well, sort of, if cinco is spelt properly) offers a selection of the hot-selling items such as the garlic cockles (S$6), bacon mushrooms (S$6) and whole pork knuckle (S$28). For lunch, Cinqo serves up two different Paellas ($9.50) cooked fresh daily – the traditional seafood staple is available every day while the Paella of the day varies. These special Paellas include several Asian-inspired flavours such as the Claypot Rice Paella, Hainanese Chicken Rice Paella and Thai Pineapple Rice Paella which fuses local flavours with European ingredients and cooking styles; a definite must-try! 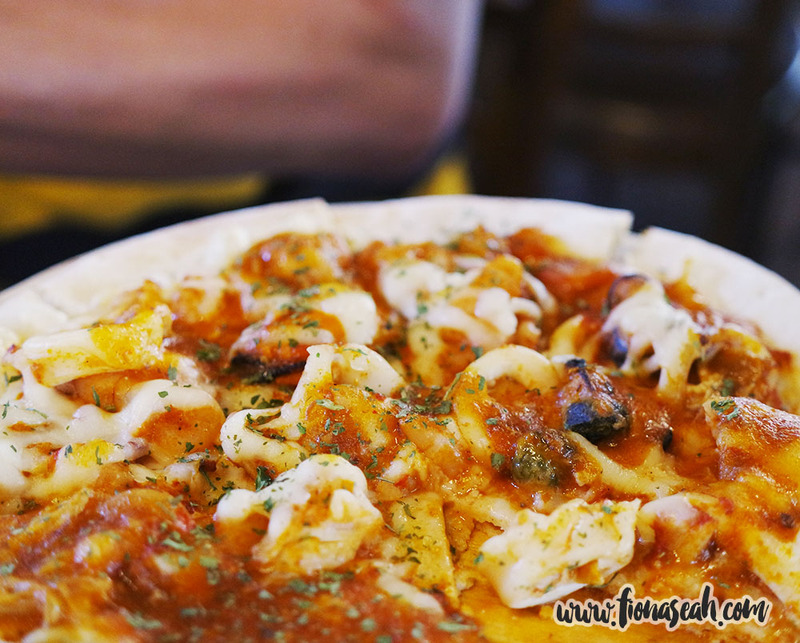 Hand-tossed with a 10-inch thin crust, this seafood pizza came topped with a generous shower of squids which unfortunately were too dry and tough for my liking. The chilli crab sauce also failed to impress as it lacked heat and flavour, therefore making the overall taste bland. However, I did enjoy the airy and crispy crust. It was well-balanced with just the right amount of doughy goodness. The pizza is available all-day at S$15 in 5 other flavours – Pepperoni, Vegetarian, Asian-Inspired, Quattro Formaggi and Prosciutto Carpegna & Arugula. I was supposed to try their signature Paella too, but my stomach had reached its peak by the time it was ready to be served. It was pity as I was pretty sure it would be a million times tastier than the pizza considering the number of times I was urged (albeit subtly) by the marketing team to try it. The unique flavour combinations, too, are definitely worthy of a shot. The menu gets even more enticing at dinner (from 5pm) with the addition of Truffle Fries (S$10), Angus Beef Carpaccio (S$10), Angus Beef Cubes (S$12), Pan Seared Foie Gras (S$12) and many other crowd favourites. With so many food options at Cinqo to rouse your palate, you certainly would see yourself coming back for more! 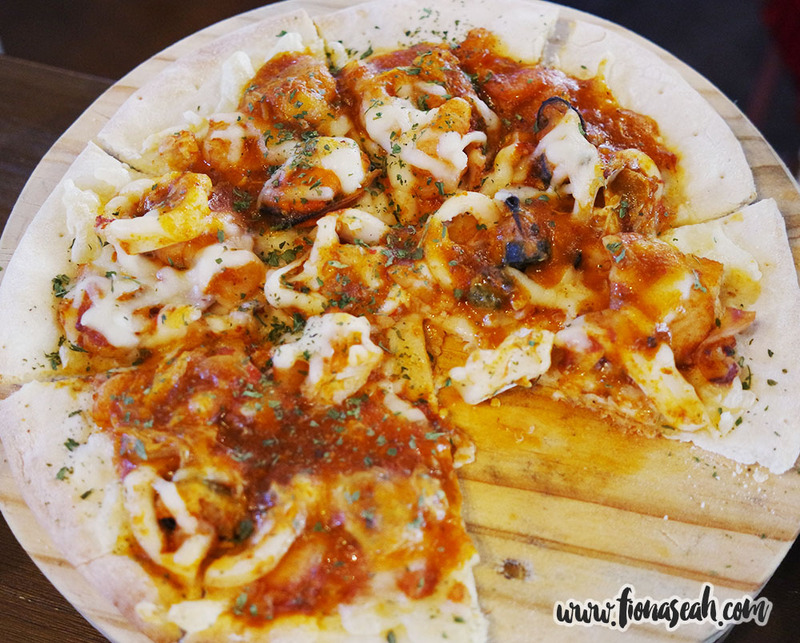 If the name rings a bell, that’s because Teppei Syokudo is indeed a branch from its famous parent restaurant, Teppei, at Tanjong Pagar. 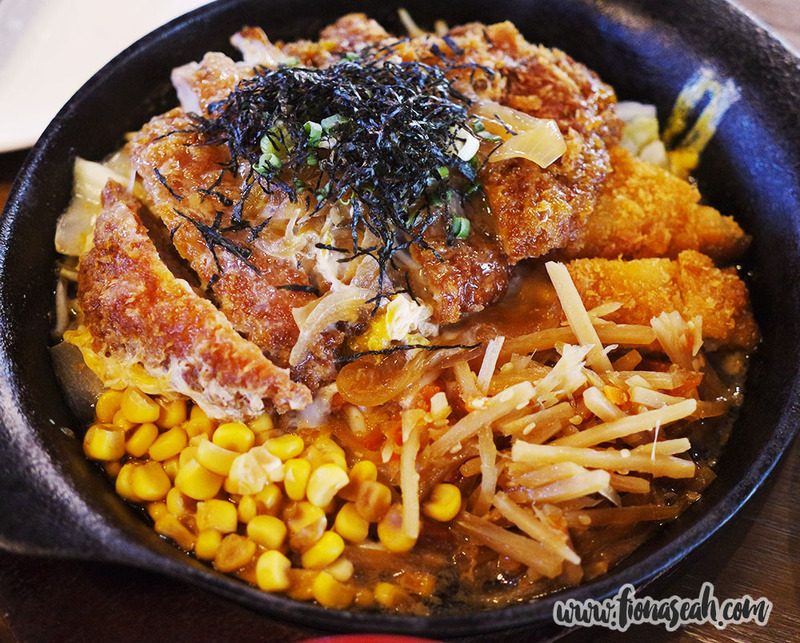 Best known for his top-grade yet affordable Japanese food at his flagship restaurant, Chef Teppei brings the same goodies that have made him such a hit to his latest outlet at FIVE Square – the Katsu Don (S$15.80), Chicken Nanban Bento (S$13.80), and the ever popular Kaisendon (S$16.80) which are literally flying off the counter. 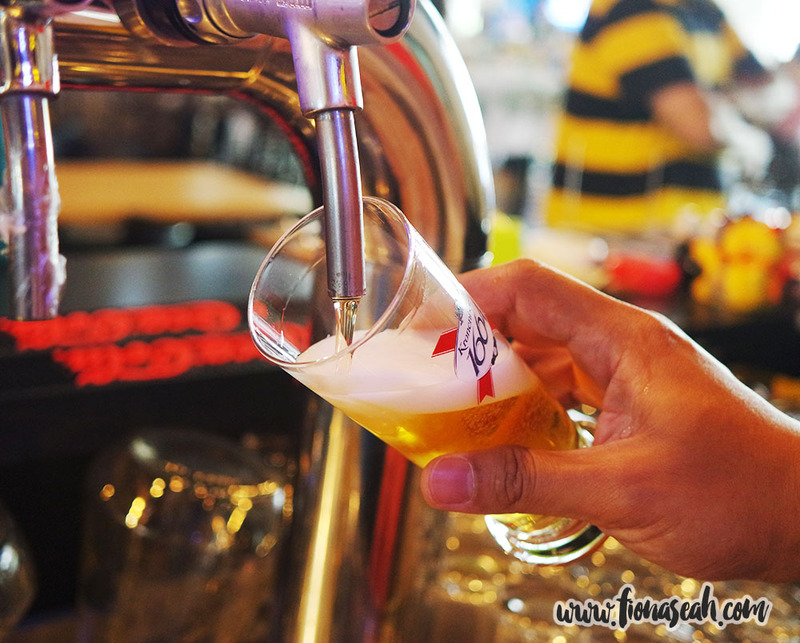 There is also a wide selection of Izakaya style snacks specially created to cater to the drinking crowd! 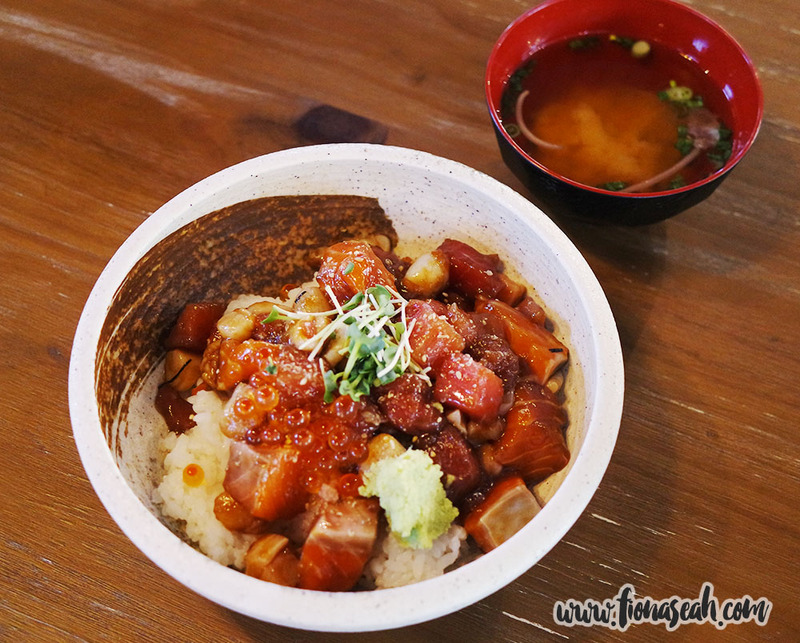 Being the first dish I had sampled for this tasting session, Teppei had unknowingly set the bar for the food standard at the Bazaar sky high with this divine bowl of Kaisendon. 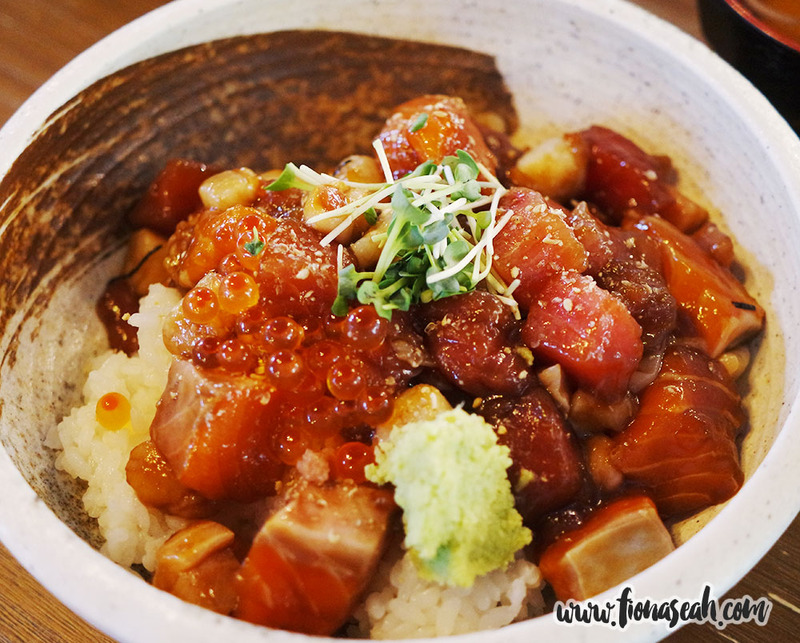 This seafood don had thick, large and absolutely fresh salmon sashimi cubes and tuna sashimi chunks atop a bed of well-prepared Japanese rice and completed with tobiko and a tiny dollop of wasabi to clear the palate. The sashimi are to die for and the entire dish was simply scrumptious. It’s so SYOK, I swear! After a few mouthfuls of the Kaisendon, I had to battle with my inner self to abstain from devouring some more because of the sprawl of food before me. It was tough but I eventually managed to achieve this almost-impossible feat – only after gobbling down every piece of the sashimi in the bowl. Served alongside a separate bowl of Japanese rice, the katsudon was another plate of comfort. Besides giving the dish texture, the corn also lent a mild sweetness to the overall flavour. Portions were generous as there was quite a fair bit of pork. The meat was tender and there was sufficient gravy and egg scramble to make it moist yet maintaining the crunch of the batter at the same time. From the brains behind The Soup Spoon comes another healthy concept that offers wholesome salads and grills. Whether you’re a meat eater or a veggie lover, you’d be able to find food that suits your diet at Omnivore. 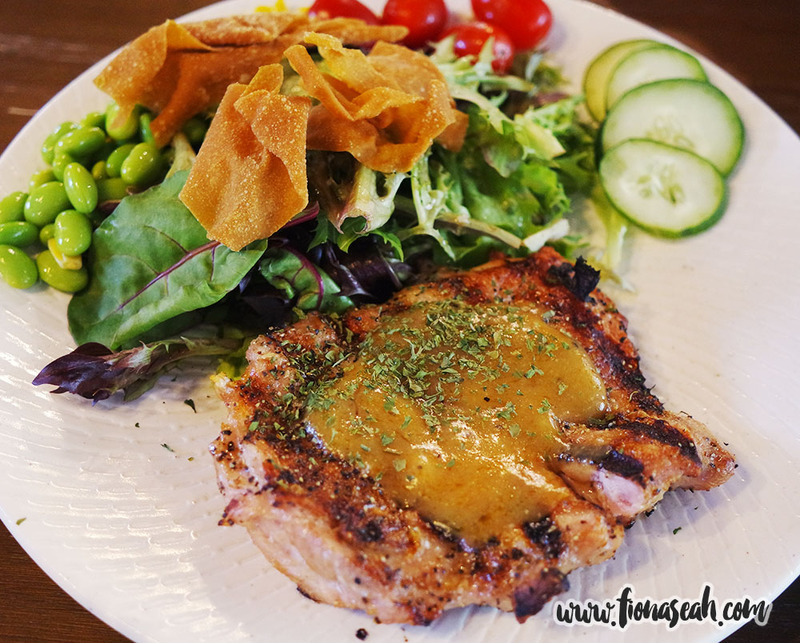 From salads for the Herbivores (S$6.80) and perfectly grilled meat platters for the Carnivores (S$16.80) to a combination of both for the Omnivores (S$12.80), there are numerous food combinations to choose from to create your own perfect plate of healthy goodness. Not sure what to eat? 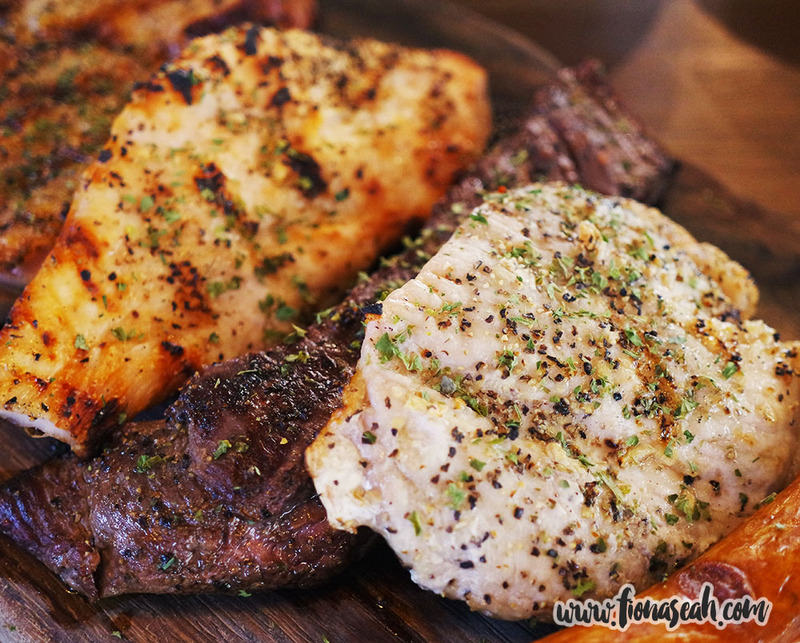 The fickle-minded can also opt for the Carnivore sample platter (S$24.80) which comprises everything! Having a balanced meal is imperative in making your body function properly but many a time, busy working professionals fall short on essential nutrients like fresh vegetables or proteins from surviving on merely convenience food. If you’re guilty of this, hopefully this dish would propel you to eat more healthily! Offering the best of both worlds, not only would you get half-sized Herbibowl (a.k.a. salad) on your Omnivore plate, you would also be able to choose a meat and housemade sauce of your choice. I was given grilled chicken thigh doused with Ponzu Miso Butter sauce that had a sweet citrusy taste and a subtle sour finish to it. The chicken was succulent and cooked perfectly and there were even crispy wonton skins (without fillings) to spruce up your greens (if you’re not a veggie person, that is). 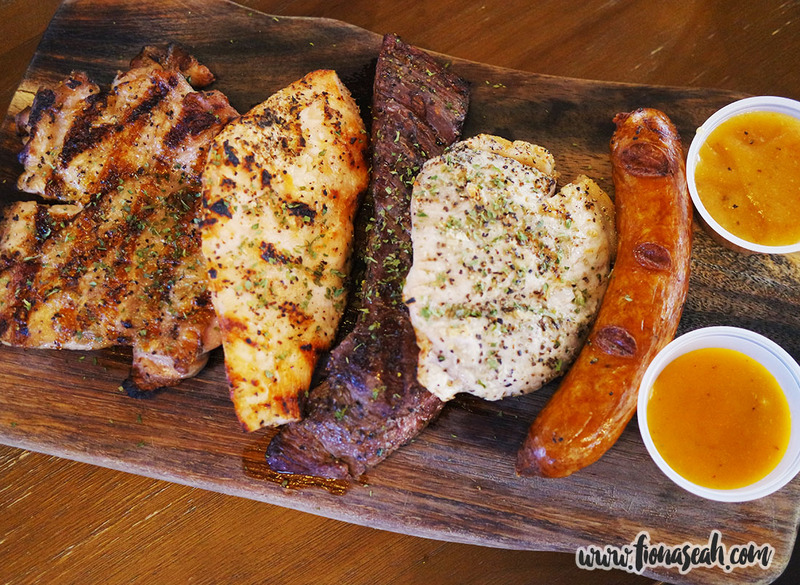 A food heaven for the carnivores, this platter has all the (common) meat to fulfill your protein needs. 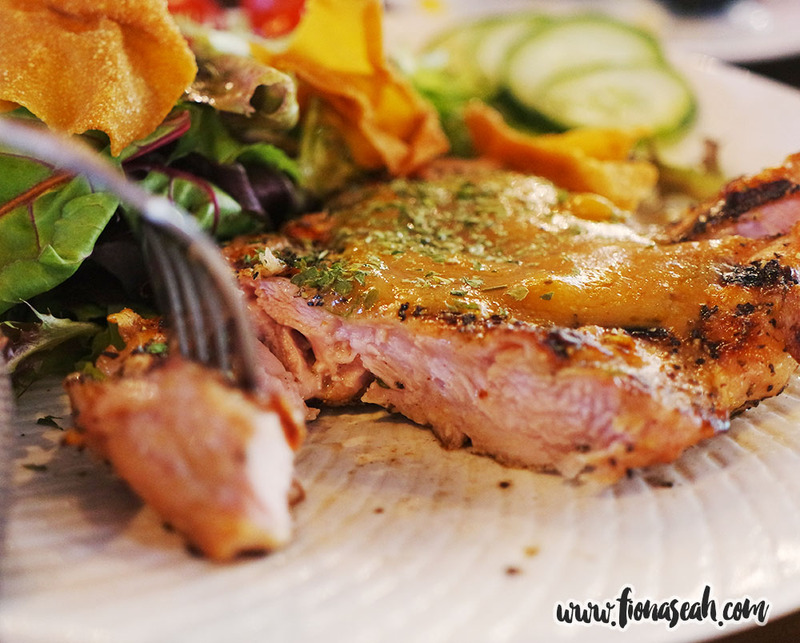 Indulge in grilled pork cutlet, 100% NZ grass-fed flank steak, Bratwurst sausage, chicken thigh and chicken breast with this brilliantly thought-out dish. They were all well-garnished and lean. Better still, they also came with a homemade sauce of my choice, or rather, two in my case since it was a food tasting session. I had Ponzu Miso Butter and House Gravy, both of which had their own distinctive taste to compensate for the lack of flavour of the platter. Ponzo had a thicker consistency while House Gravy was lighter and way blander. However, except the sausage, I personally found the meat (especially the steak) rather dry and tough in general. But then again, perhaps I had too high of an expectation for this platter. Also, unless you’re extremely hungry, chances are you wouldn’t be able to finish the entire platter. Therefore, it’d be a better idea to share this with friends or colleagues! 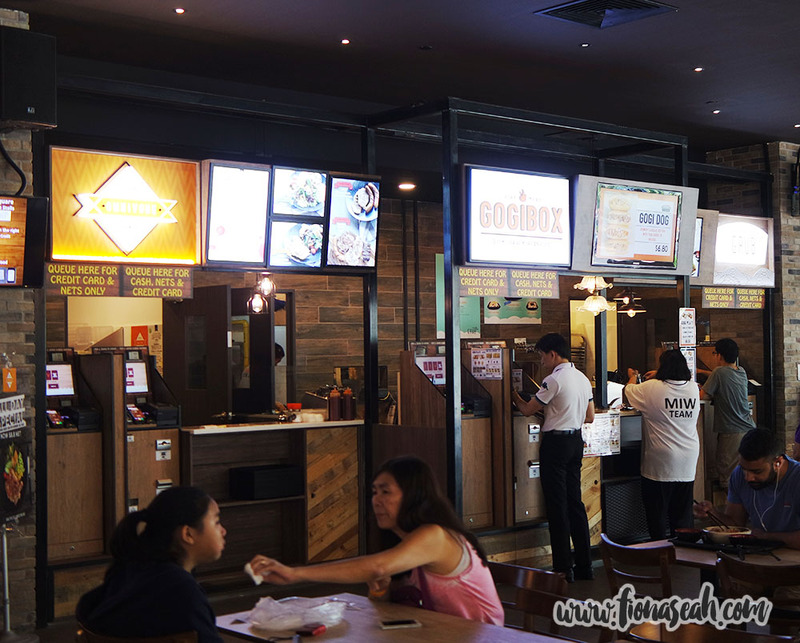 Gogibox is the first quick-serve Korean food concept in Singapore offering 7-8 kinds of daily freshly grilled Bulgogi for you to choose from. They pride themselves on their Bulgogi—literally meaning “fire meat”— which they consider to be their strength and culinary weapon. 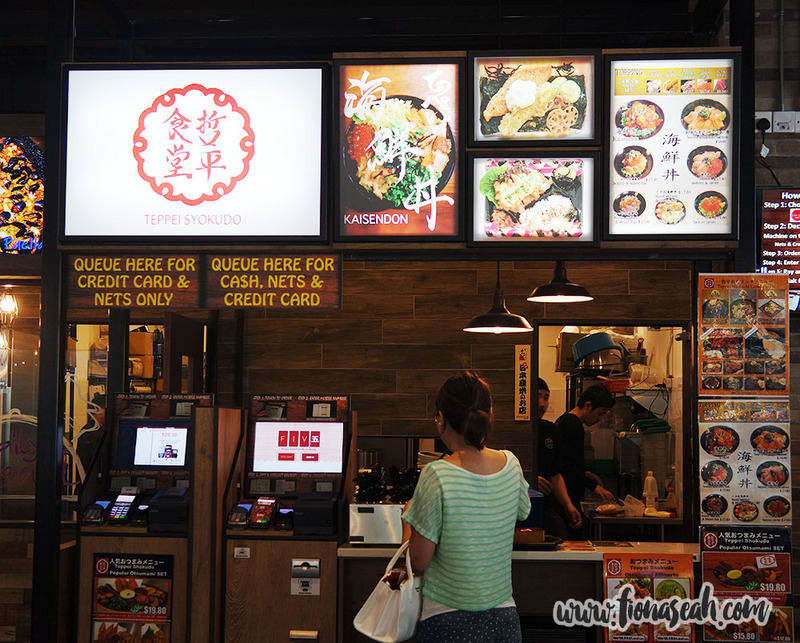 On top of that, Gogibox also offers 3 kinds of Korean fried rices namely kimchi, prawn and bulgogi marinade. Snacks like fried dumplings are provided on the side menu should you feel like getting some quick bites. 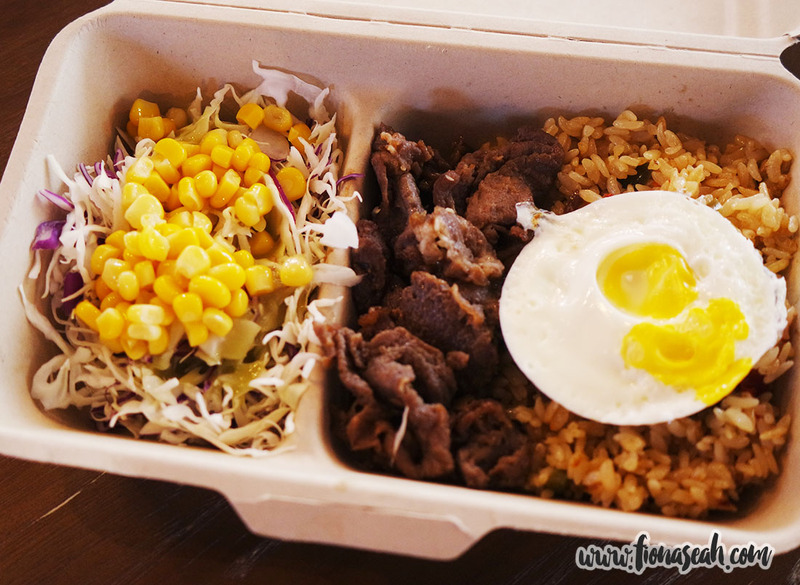 Gogibox’s signature is the Gogi Plate served in a takeaway box. It comes with 1 choice of Korean fried rice, 1 choice of bulgogi (beef, chicken, spicy chicken, spicy pork, pork galbi, gochujang pork bell or wine pork belly), fried egg and a side of salad, all combining to give you a complete meal that would leave you satiated without burning a hole in your pocket at the same time. My first impression of this dish was that it looked dry but fortunately my beef turned out to be deliciously sweet with the right tenderness. Apart from the beef, the flavours were also coming from the fragrant kimchi fried rice. Presentation-wise, it suffered because of the broken and dried-up egg yolk. And being served egg yolk that is anything but runny is sadly at the top of my list of pet peeves Therefore I didn’t really enjoy Gogi Plate as much as I wanted to. 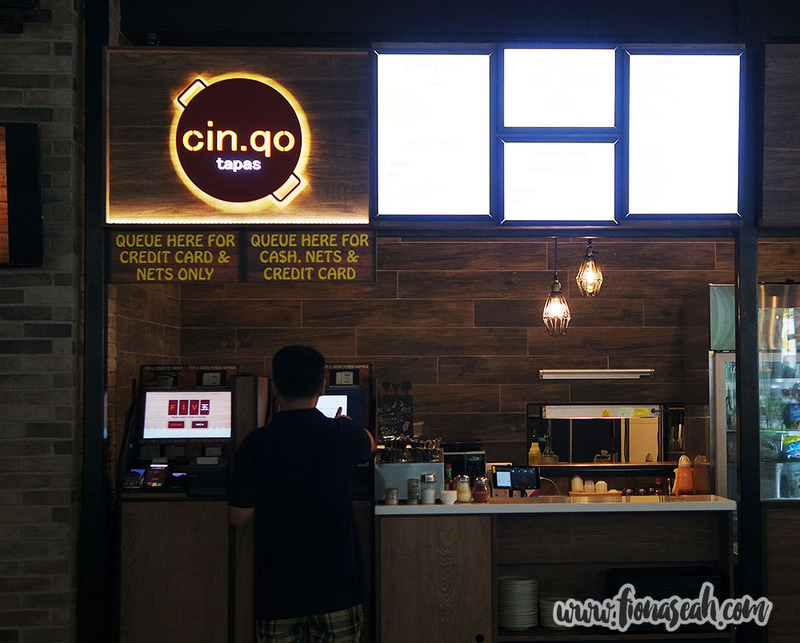 If you’re in the mood for a lighter bite, there are plenty of options at Gogibox like Gogi Dog and Gogi Taco that can fill your stomach for awhile. 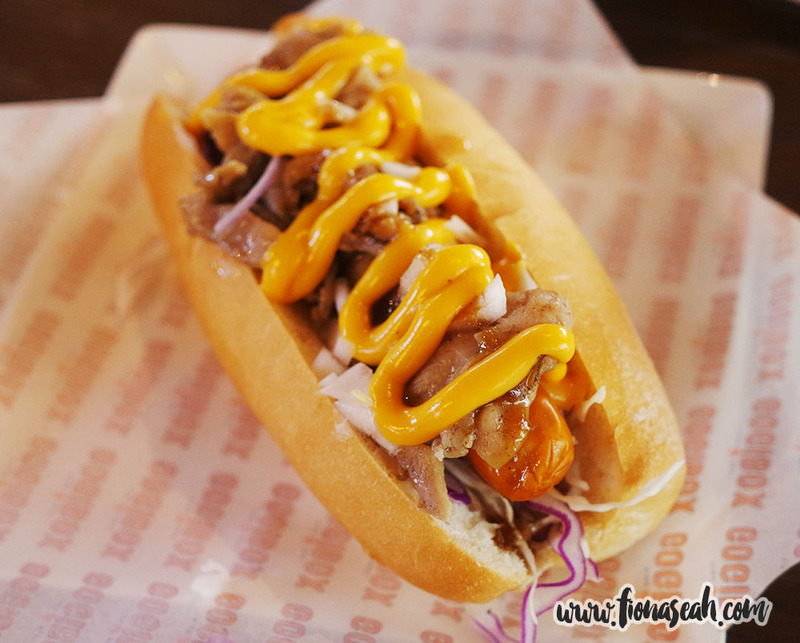 The Gogi Dog is a combination of American hot dog and the bulgogi. 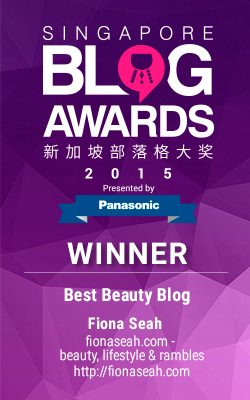 It had soft and fluffy buns sandwiching fresh, crunchy cabbage and a steaming hot sausage. The saltiness from the sausage also helped to balance out the overall flavour. 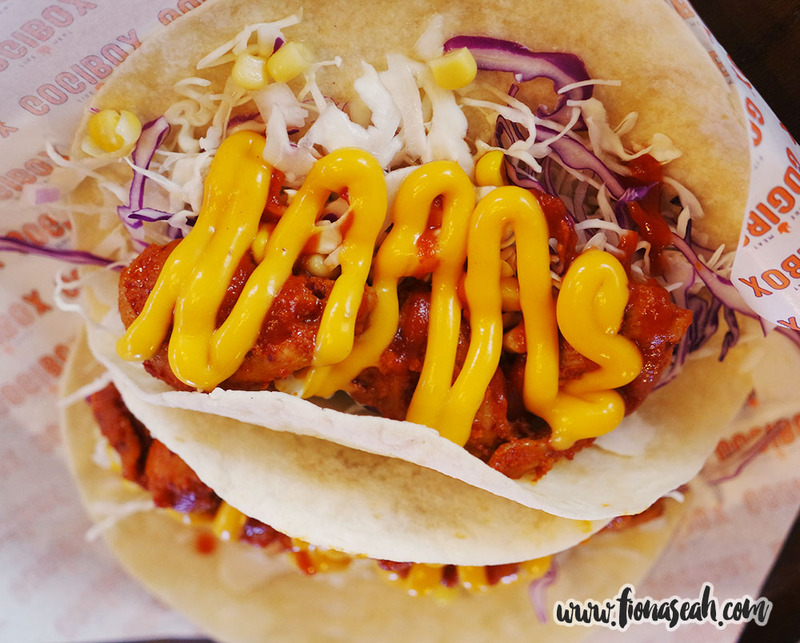 The Gogi Taco, on the other hand, is Gogibox’s interpretation of Mexican taco using thick and chewy wraps and the freshest vegetables. Although not very spicy (it could well be after several bites), the chicken still left a tingling sensation in the mouth. It also has the tendency to become a messy affair if not careful. Divide it with cutlery if you’re a messy eater like me. It surprising cut very smoothly! 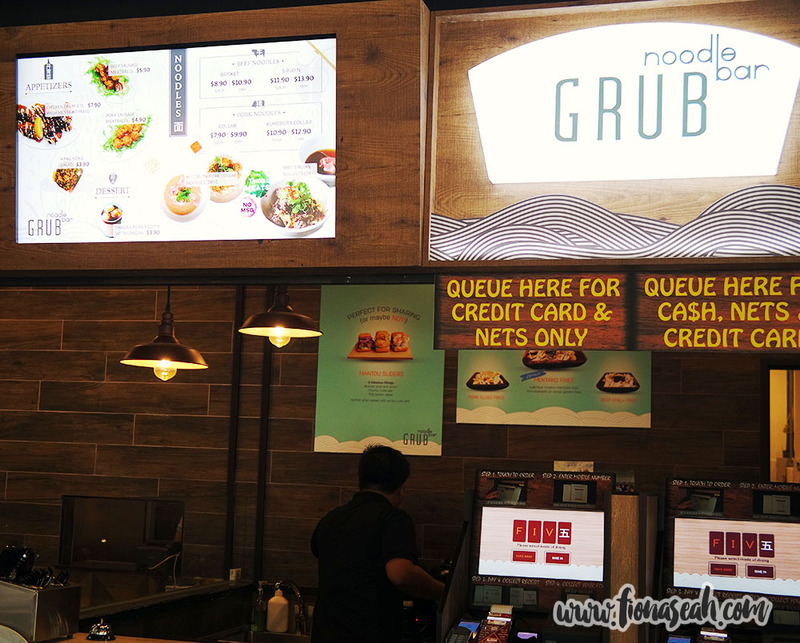 Previously located at Rangoon Road, the popular brand of noodles has finally made its way to a more accessible location at the CBD. Best known for its tasty broth, it is made using beef bones and vegetables and boiled for long hours to extract the full flavour from the beef bones. Furthermore, it contains no MSG or artificial flavours. 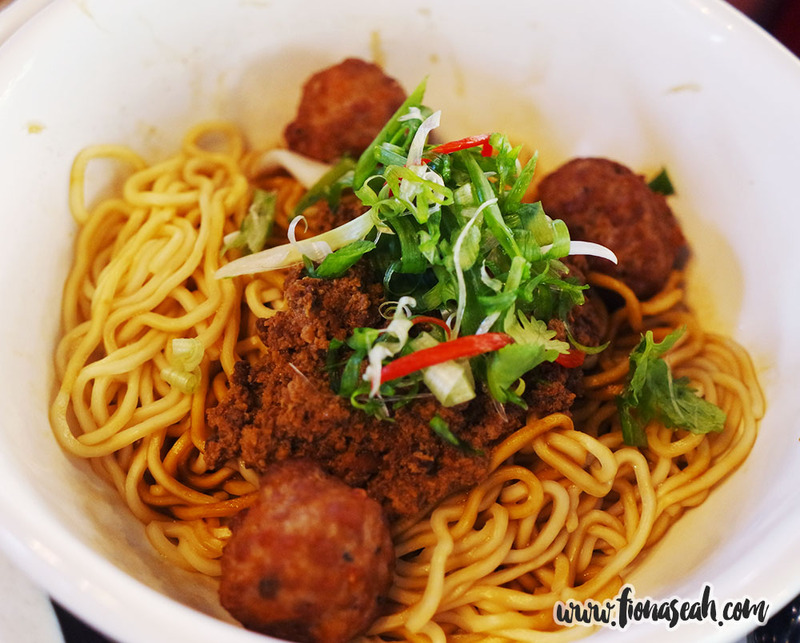 GRUB Noodle Bar also prides itself on offering only quality beef with its noodles. Take your pick from grades of beef often only found in high-end steakhouses, starting from a pasture-fed beef brisket (S$10.90) to a tender premium sirloin option (S$13.90). Besides the miso pork broth, GRUB apparently makes great chilli sauce to go along with the noodles too! It was adequately spicy and slightly tart which complemented well with the sweet and flavoursome 100% pork balls and springy egg noodles. If not for my exploding stomach, I would have totally went for one of their the beef noodles as well! 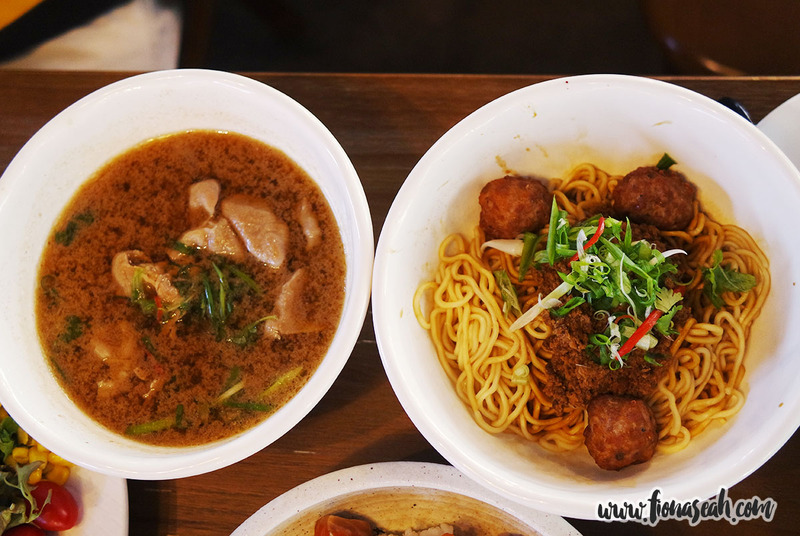 The pork collar noodles is available in both soup (S$7.90) and dry versions. Those with a more exquisite palate may opt for the Kurobuta Collar Noodles that is also sold in soup (S$10.90) and dry (S$12.90) versions. In a bid to reduce reliance on manpower, the Bazaar is the first to roll out a fully automated self-service ordering and payment kiosk. 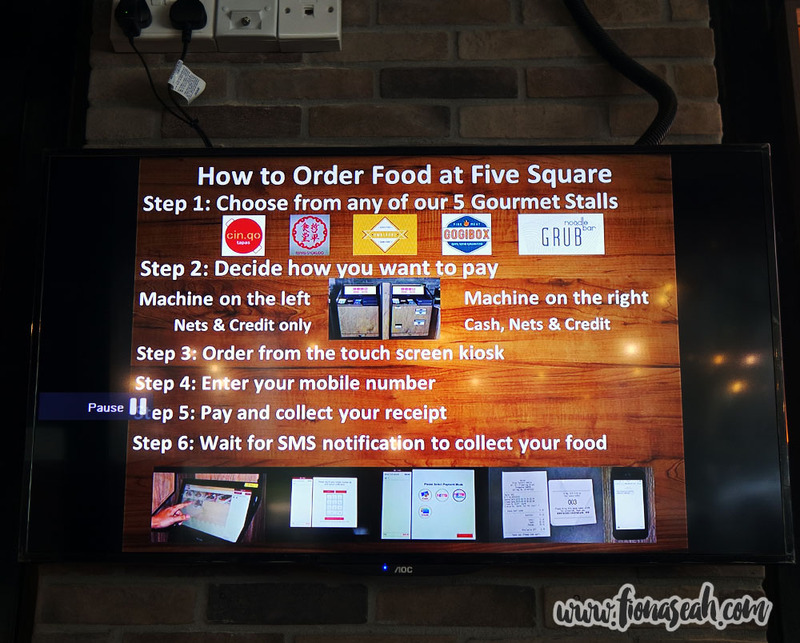 It is integrated to a SMS system which sends customers a message once their food is ready for collection so that they do not have to wait by the store while their orders are prepared. 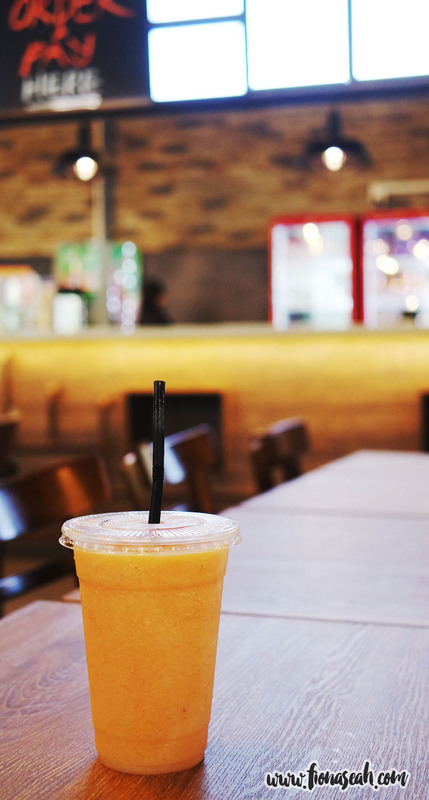 Customers can also use this time to look for a seat or purchase drinks and other items. 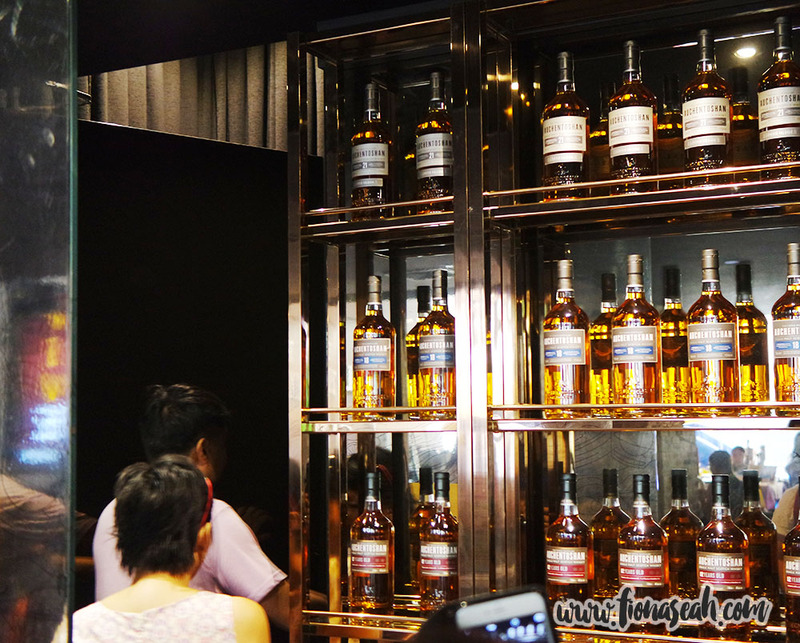 This system has been warmly received by the masses and touted as a game-changer for the food and beverage industry here. 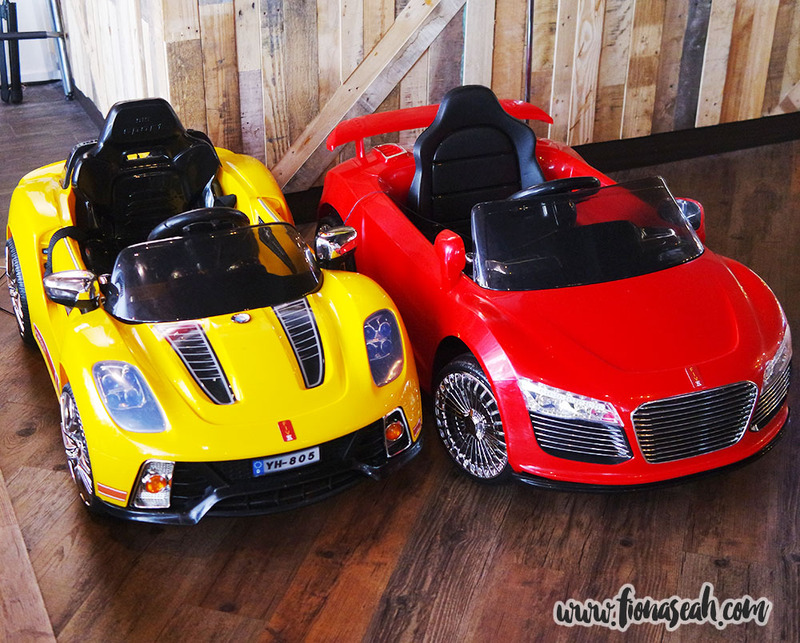 Although catered mostly to working professionals during the workweek, FIVE Square continues to be abuzz on Saturdays (the only weekend on which it is open for now) with family-centric activities. 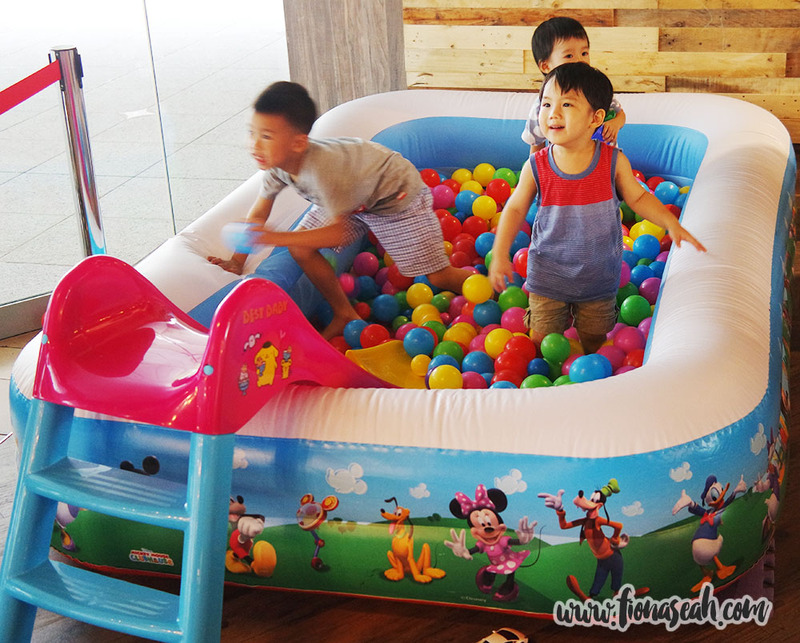 Starting 10 October 2015, a refreshing concept combining feast, shop and play called Family FUN² @ FIVE Square enables patrons to tuck into a selection of food for lunch and/or dinner and browse through a myriad mix of eclectic items at The Artisan Market while their little ones have a whale of a time at the outdoor Bouncy Castle, mini ball pit and remote control cars. The free and open-to-public event is only available on Saturdays. 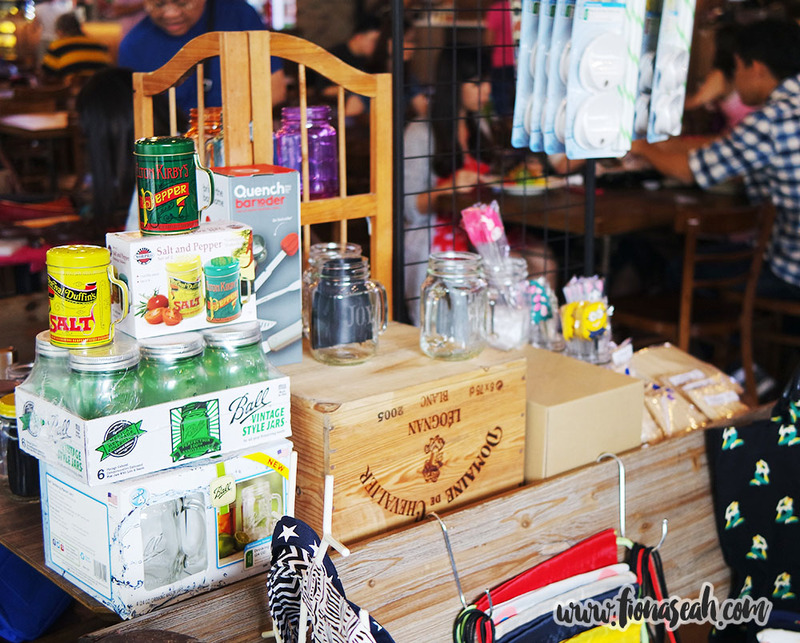 25 vendors will be stationed at The Artisan Market from 12pm to 7pm every Saturday to sell an extensive blend of products and services ranging from hand-made accessories, arts & crafts, fashion apparels, decor, home-ware items and more. Apart from that, visitors can also expect an exciting line up from the bustling marketplace showcasing their participating artisans and lifestyle vendors such as clay miniatures, personalized craft /scrap books, crochet bears, patchwork blankets, bottle lamps and many more, providing a unique shopping experience for both the locals and tourists! 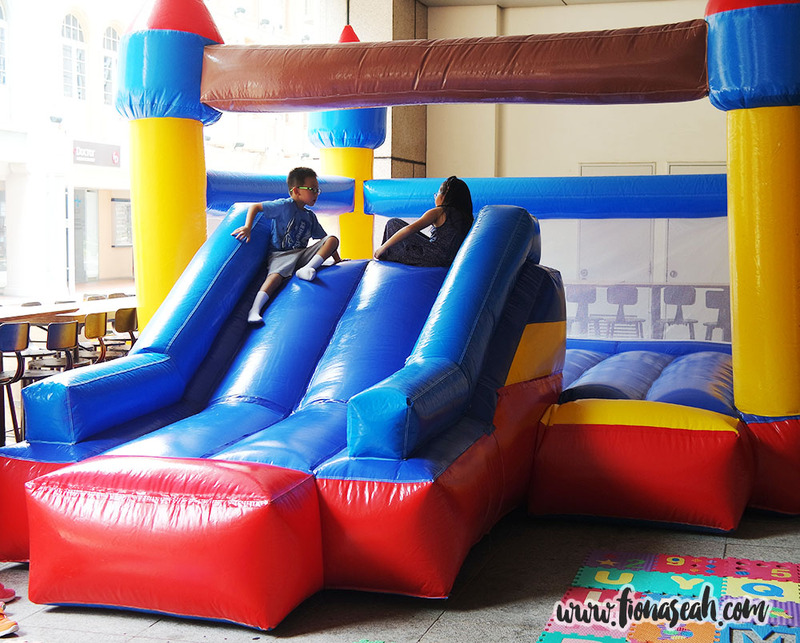 However, the management of FIVE Square is still working on bringing more children-friendly dishes at the Bazaar so food choices for the little ones (especially those below the age of 5) is still quite limited for now. Hence, it is advisable to pack lunch just in case foods like fried calamari do not suit their appetite! 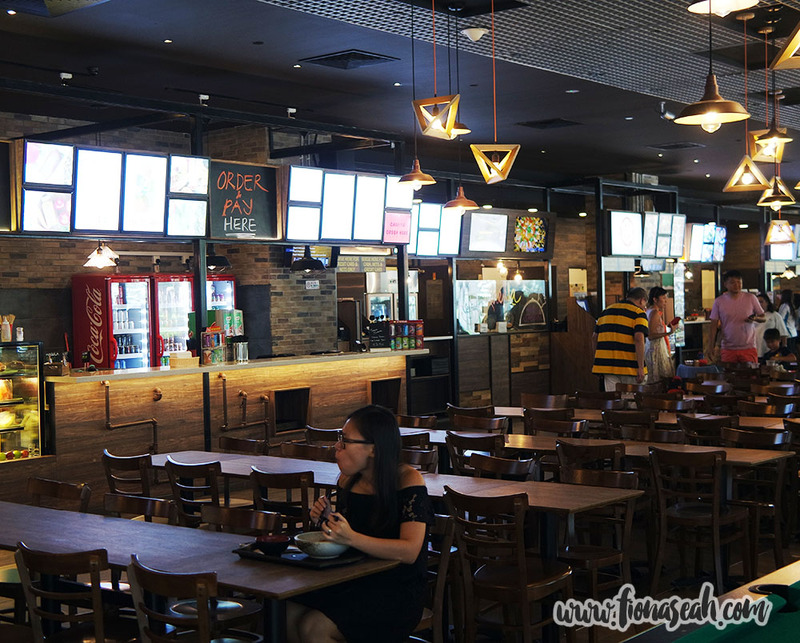 All in all, I feel that FIVE Square has done a pretty good job in taking over Han’s task of providing affordable and quality food for the masses in the CBD area. I, for one, would without a doubt make FIVE Square my regular eating place if I’m working in the vicinity! I will stuff my face with Kaisendon every single day! Omnomnomnomnom.